Anna Beil, of Sidney, a member of the Shelby County Special Olympics softball team reaches third base during a softball game Wednesday night. 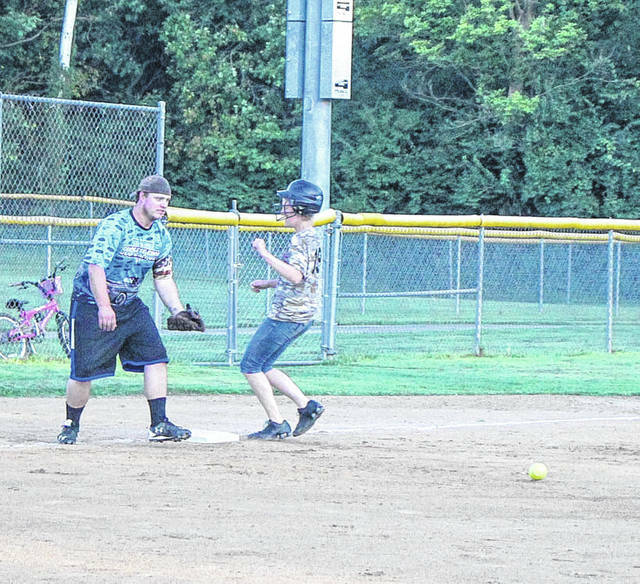 Kevin Hillard, of Piqua, third baseman for the Connection Point Church of God’s softball team waits for the softball to reach him, but Beil beat the throw and was safe at third. The two teams planned at Flanagan Ball Fields in Sidney.